Could it be true? I know I have friends out there (Amber) who loathe Starbucks and think their product is sub par, but I love it. While going down my morning blog roll I happened to be on a friend’s (Carrie) blog, who lives in Prague and she sited this article, Critics lining up to give Palladium a difficult arrival, that made me happy, but did it?! “Why?” you ask. Well they speak Starbucks’ arrival to Prague. Now I struggle with what Carrie discussed in her blog entry on this too. That struggle is with the commercialization of Prague. Prague is growing in popularity and seems to be flooded more and more by the positive and negative affects of capitalism. So is getting a Starbucks good for Prague? I’m not sure. I don’t think it will be cool when Prague is like London and there is a Starbucks on every corner. 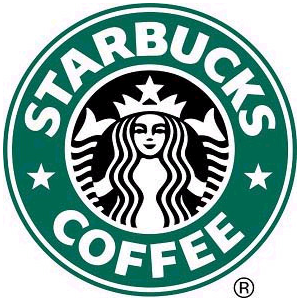 I’ll be honest, Starbucks espresso drinks are somewhat of a guilty pleasure for me and when I travel to a city in Europe with a Starbucks I delight in a splendid venti hazelnut mocha with caramel drizzle, with skim milk and no whip, but that is a treat. What will it be like having one in Prague? I’m not sure. I just hate to think of a Starbucks on every corner… Anyway, I am sure I will enjoy it for a season at least!